Gee I love this sketch – it’s so “me” with all those layers, so I knew I had to play along. The colour combination I’ve gone for is Perfect Plum, Basic Black and Very Vanilla. My card started off with the seam binding. I’m going through a phase of dyeing my seam binding to match my Stampin’ Up! cardstock. I then chose my designer series papers and stamp sets from there. The stamp set I’ve used is called Summer Silhouettes and I’ve Rock’ n’ Rolled the flowers in Perfect Plum and Black Stazon to give them a little something extra. Narelle, as usual, this is a beautiful card. Your cards are ALWAYS AMAZING! I’ve been known to dye my seam binding as well. It works great for the most part. I hadn’t left a comment in a long while and wanted to do. I do love your cards as they are always so beautifully done! 🙂 Have a Super Saturday! This is just gorgeous! 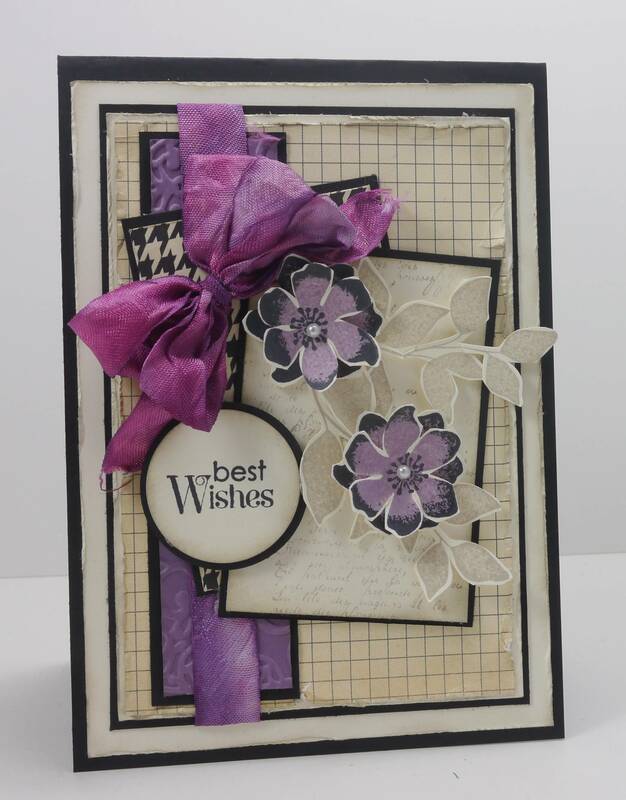 I adore the wonderful papers you used with the touch of violet! 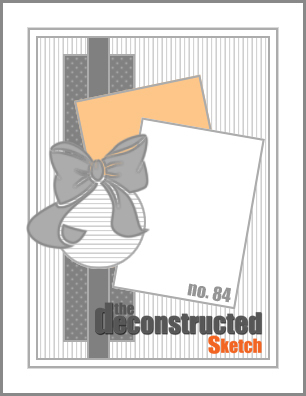 Thanks for joining us at the Deconstructed Sketch!